Past studies in agent negotiations against humans have revealed important insights. 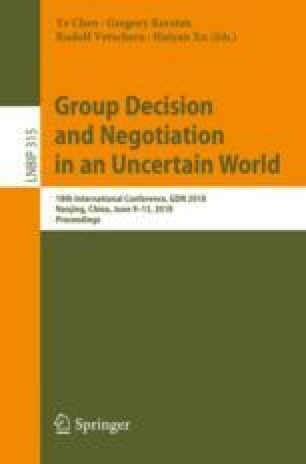 The current study examines the effects of including a person’s photograph as a proxy for an agent in negotiations on the outcomes. To this end an experiment employing photos of a young person, a mature person, and an older individual to represent agents was conducted. The results revealed significant difference in terms of the agreement utilities achieved by the three groups of agents. Therefore, the choice of an image for representing a software agent plays an important role in determining the outcomes of human vs. agent negotiations.